Many patients, are now becoming increasingly conscious of their crooked smiles, but want to stay away from more abrasive method of filing the tooth away for crowns or veneers. Orthodontics is now becoming more and more popular with adult patients; this is because of the huge technological advances that have been made in recent years. No longer does a patient have to spend approximately two years of their life with an unsightly fixed silver metal brace. Invisible braces that are now available to you can provide a solution to crooked teeth without the obviousness of traditional orthodontic treatment in a very short time span, months not years! At Plymouth City Centre Dental Practice we use different Cosmetic Braces Systems such as Inman Aligners, ClearSmile Aligner and Six Month Smiles. 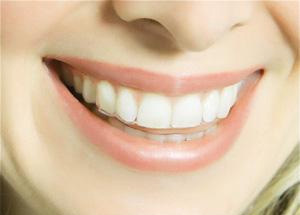 At Plymouth City Centre Dental Practice one of our teeth straightening treatments are 6MS. This is a treatment that has been pioneered by an American dentist, and is very popular in the U.S.A. Six Month Smiles has taken the best aspects of fixed braces and modified the treatment and the materials to give adults a common-sense, cosmetic solution that fits patients lifestyles. As the name suggests the average treatment time is only 6 months! 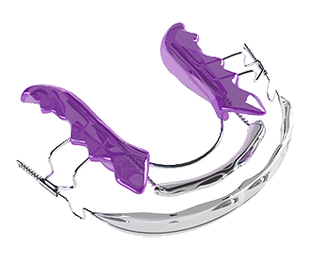 The Inman Aligner is the perfect solution for crowding or protrusion of the front teeth. It is really fast, very safe and great value. With the patented Inman Aligner, your front teeth can be gently guided to an ideal position in a matter of weeks. Most cases complete in 6-18 weeks and because it’s removable you can take it out to fit with your lifestyle. ClearSmile invisible aligners are the clear and simple cosmetic solution to align front teeth. The ClearSmile Aligner is the ideal treatment for mild to moderate crowding or misalignment of the eight front teeth.